It is time for all peace organizations to speak out clearly. We at FNVW since 2011 have supported both the Syrian nonviolent movement and nonviolent activists in their struggle for human rights and a democratic Syria for all Syrians without any group monopolizing power to impose its own agenda. Throughout this struggle FNVW has opposed the United States as well as any other country or organization sending weapons and/or troops to any of the parties in the conflict. Friends for a NonViolent World affirmed that the United States must remain solely committed to diplomatic and humanitarian efforts to resolve this crisis. And we have been outspoken in our opposition to the extreme Salafist groups in the armed opposition and any party in the conflict who have committed crimes against humanity. Both the Guardian and the New York Times document what has been happening in Aleppo. We at FNVW unequivocally condemn the crimes against the Syrian people and crimes against humanity, Russia and the Assad regime are perpetrating in Aleppo. The intentional killing of civilians is a war crime. Putin’s and Assad’s brutal use of bunker busting bombs, thermobarbaric weapons, barrel bombs and phosphorus are resulting in devastating, unspeakable consequences for civilians. Government forces also have targeted the volunteer humanitarian group, the White Helmets, halting their rescue efforts. These weapons do not distinguish between civilians and combatants. Their goal is to terrorize into submission or displace people. The use of this lethal weaponry is immoral and contravenes international law. 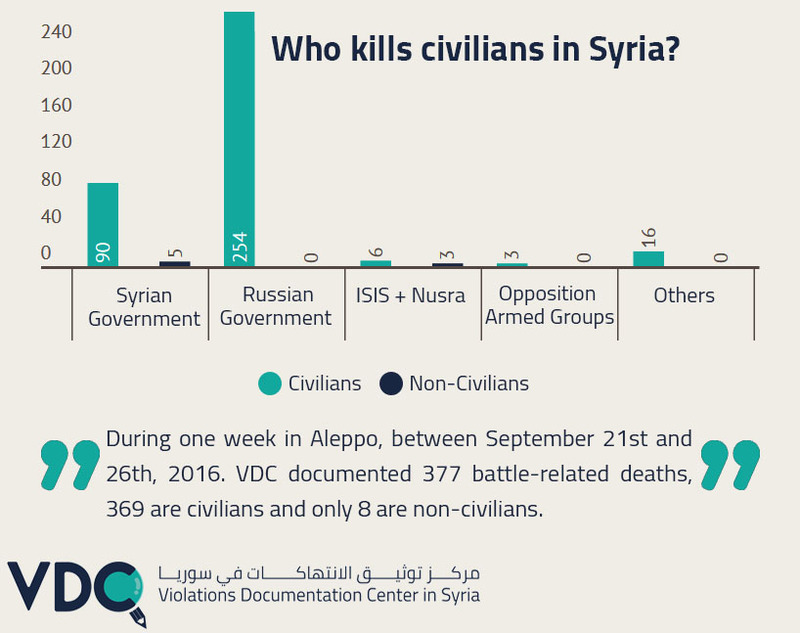 FNVW calls on both the Russian and Syrian governments to immediately halt their air strikes and war crimes in Aleppo.